COMPETITION: Win a pair of tickets to see Anthony Horowitz’s Mindgame at Malvern Theatres this June. 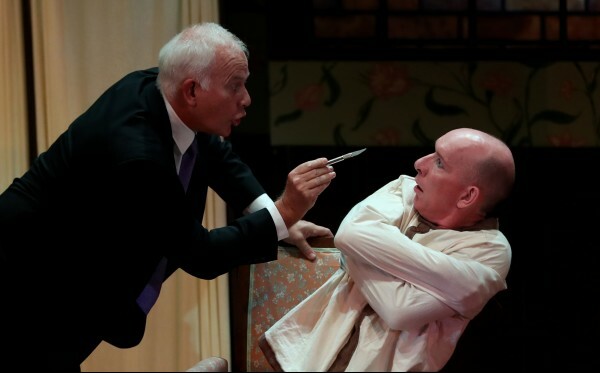 Courtesy of the promoters, Paul Sullivan PR, you could win a pair of tickets to see Anthony Horowitz’s Mindgame at Malvern Theatres this June. Angela Browne Ltd are proud to announce that following a popular season in London’s West End the UK tour of Mindgame by Anthony Horowitz has been extended to cover a further eight venues. Email me weekly with latest competitions, events, news and a chance to win a cash prize. Entries must be received before midnight on Sunday, 26th May 2019. If you have any problems please email office@glos.info or call 01242 236608. To see all our other competitions please click here. The winner will be drawn at random on Monday 27th May 2019 and will be contacted via email. The winner will receive a pair of tickets to see Anthony Horowitz’s Mindgame at Malvern Theatres between the 4th and 8th June 2019. Editor’s decision is final and there is no cash alternative. External Website: More details about Malvern Theatres and COMPETITION: Win a pair of tickets to see Anthony Horowitz’s Mindgame at Malvern Theatres this June.